We continue with Ryan’s adventures on tour… Ryan, our screenprint magician, recently hit the road for a tour with the band Cloud Cult. 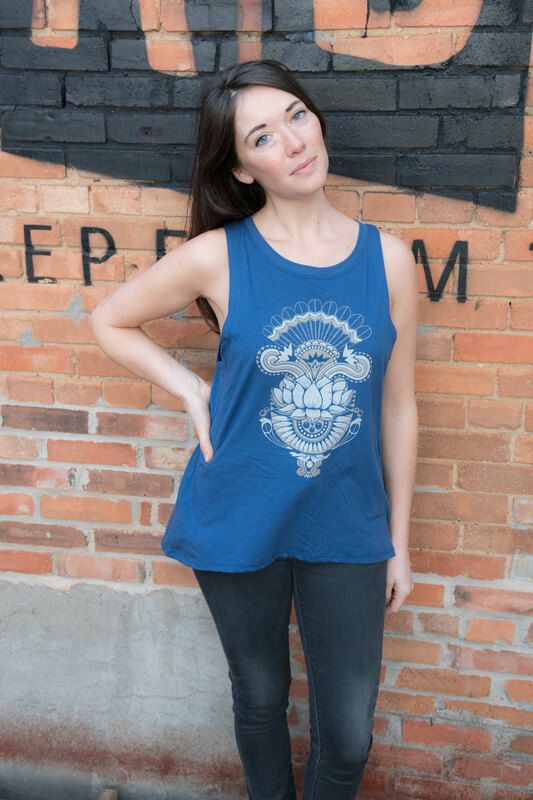 Check out the first installments here and read to see some cool Soul Flower threads and Cloud Cult stories. For this leg of my diary I feature a couple interviews with band members Sarah and Shannon. Sarah’s the cool music teacher you wish you had when you were a kid. Teaching by day and rocking with the band at night, Sarah has no problem moving between the worlds of school and play. In fact, she runs the school. 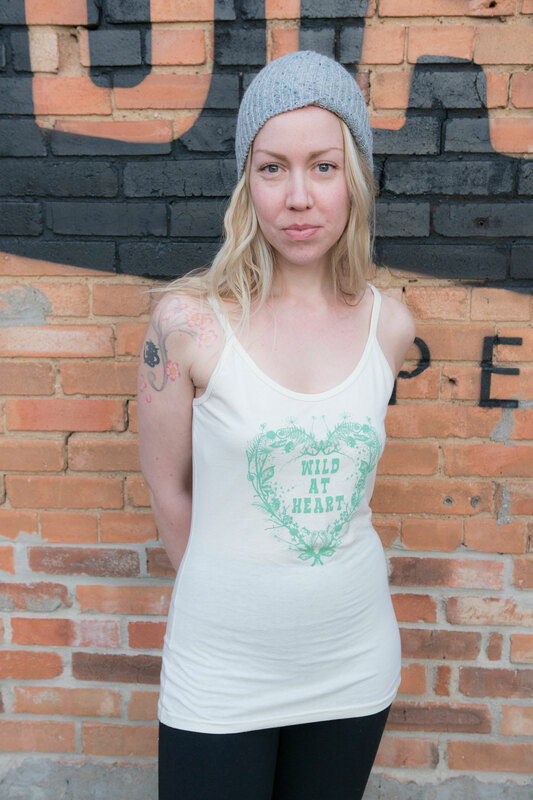 Along with playing in Cloud Cult, Sarah has her own Music School in Northeast Minneapolis: Sarah Jane’s Music School. I asked her a few questions about how she handles such a busy musical life. R: You have been playing music all your life, did you know you wanted to play professionally when you grew up? S: I started playing piano when I was four, french horn from when I was ten and sang from a young age as well. I was 13 when I got really serious about piano and played classical up tip I was 21. I never thought I would be playing piano in a rock band! R: You went to music school then? S: Yes, Music school for classical piano and french horn. R: Besides the band you own and teach at Sarah Jane’s Music School in Minneapolis. What year did you start that? S: That started in 2015. Coming up on two years. R: How does in feel going from a performing musician to business owner and musician? Is it more difficult? S: It is a challenge because I need to wear more hats. I teach every day but also have to handle accounting and human resources, marketing and community outreach. It fits my personality very well and I enjoy all of it. R: Do you have any advice for anybody who want to be a musician or wants to get into the business side of music? S: Start down a path and it will always lead to where you are meant to be. You just need to take a step forward. Playing with your friends and neighbors or jumping into a music program is a great way to get started. S: The people. The band is like family and it’s such a treat to hang with them every day. R: When did you start playing violin? S: When I was 10. R: How long have you been in Cloud Cult? R: How did you get involved in Cloud Cult? S: I answered an ad on Craigs List That cloud cult was looking for a violinist. I contacted Craig and lined up an audition. I think there were a couple other violinists that auditioned as well. S: I was nervous because I had to improvise in my audition. That was new for me and I wasn’t sure how good I would be at it. I had heard about them but didn’t know much about the music. I knew they had two live painters that they performed with and I found that interesting. R: Whats your favorite part about being on the road? S: The Camaraderie with the band. R: What’s the hardest part about being on the road? S: The unpredictability. I’m set in my ways and like a set schedule. Over the years I have had to learn to roll with things thats been good for me. 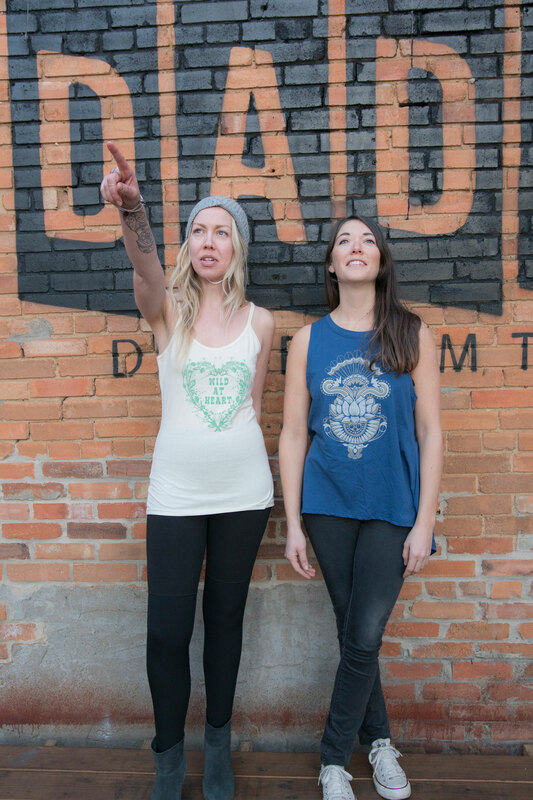 Sarah and Shannon wore Soul Flower originals for the photos in this post and on tour.